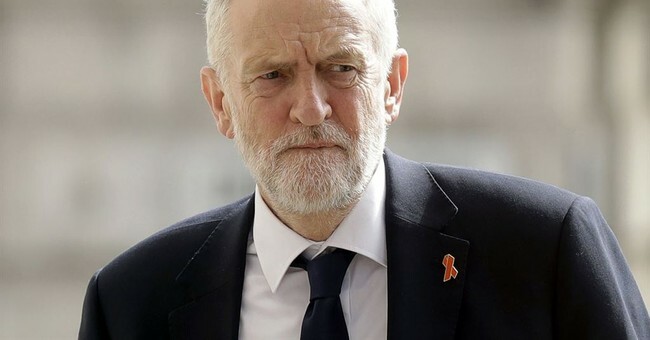 Corbyn made not one but two fundamental mistakes this week by ruling out a no-deal Brexit. Brexit Central reports Jeremy Corbyn is wrong to rule out No Deal and risks keeping Labour out of power for another generation. After the Prime Minister’s catastrophic defeat in the House of Commons and after scraping home in the No Confidence debate, Theresa May finally extended an offer to opposition parties to meet with her to discuss the way forward. While all opposition parties oppose a ‘No Deal’ Brexit, Jeremy refused to meet with the Prime Minister until she was prepared to rule out No Deal. In ruling out the prospect of No Deal, a future Labour Government would risk losing all leverage. One cannot imagine the late Bob Crow or the General Secretary of Unite, Len McCluskey, ruling out ‘No Deal’ when negotiating with employers. An overwhelming majority of Labour constituencies voted to leave the European Union – around 70%. Estimates of up to 40% of Labour voters in 2017 supported Leave. 78% of the seats Labour has to take from the Tories to win the next general election voted Leave. 72% of Labour’s 25 most vulnerable seats voted Leave. All parties committed to leaving the European Union by accepting the outcome of the referendum. Labour needs to win back its traditional heartland support that has maintained the party since its inception. We will not do this by supporting a second referendum and we will not do this by accepting any terms offered to us by Brussels. The British people are for Brexit; let Labour be their champion by backing a World Trade Brexit. Brexit Central is correct on all of the above. But it missed a key point. Corby asked for the impossible. He is against May's deal, against a no-deal Brexit, and against a referendum to not leave. His stance is logically impossible. The one legal certainty in this mess is that a no-deal Brexit is the default option. May could not possibly commit to ruling out a no-deal Brexit because the only two options on the table are May's deal and a no-deal Brexit. Corbyn can rule out one or the other but not both. Like it or not, those are the options. Neither May nor Corbyn gets to choose a third option because the EU would have to agree with it. Corbyn wants one and only one thing: Elections. He does not give a damn thing about what the Labour party wants. If a policy doesn't potentially lead to elections he wants no part of it. Moreover, Corbyn has other constraints. He had to rule out another referendum because his party doesn't want one, nor does the public at large, and finally there are only about 70 MPs or so who do want another referendum. A referendum simply isn't happening when neither the Tories nor Labour nor the population wants one. I called that long ago. And it should be clear by now, but remainers still cling to the silly notion. Curiously, the longer remainers cling to the belief that a referendum is possible, the more likely a no-deal Brexit wins out. It prevents a majority for any other option and by default no-deal wins. A referendum is out, but elections aren't. May walks a very fine line. If she upsets DUP or enough Tories they will vote with Corbyn on another motion of no confidence. That's the second part of Corbyn's ploy. The question at hand is whether Corbyn strengthened his hand by walking out of negotiations. I suspect he did. But it was at an expense. The expense is an increased likelihood of a no-deal Brexit. The UK should leave and be done with it. May gave away huge bargaining chips for nothing. There are now three bargaining chips: EU payments, Fishing rights, German car exports with Trump again threatening tariffs. The way to a good Canada-Plus arrangement is to walk away with a short Brexit extensions to put enough pieces in place to support a smooth transition. Theresa May stated all along that no deal was better than a bad deal. By an overwhelming vote, MPs said May struck not a bad deal, but a horrendous one. It's time for Plan B: WTO-Brexit.